Imagine then, my surprise when I enjoyed Zombieland and I enjoyed it quite a bit. Yes, I cringed at all of the blood and gore. Don't forget that Zombies do eat brains. What I wasn't expecting was to laugh and to laugh quite a bit. I expect the combination of horror and humour is partly responsible for the somewhat surprising popularity of this movie. 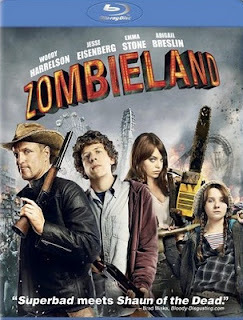 You can read my full review of Zombieland by clicking right here. In terms of the blu-ray disc, Blu-ray.com says that the blu-ray version "excels in every area" and that it has amazing picture quality, an impressive soundtrack and lots of 'ooey-gooey' extras. 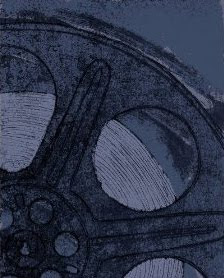 They rate it HIGHLY RECOMMENDED for every blu-ray movie collection. I’d temper that with the thought that Zombieland is not a movie for everyone but if this is your genre, or if you are willing to live with the blood and gore, then you should add this movie to your collection. Click here to buy Zombieland from Amazon. Or here to read my review of the movie.